The trustful relationship between MJK and our partners is what we see as the center of the process of collaborating every single day. By obtaining certifications for our company and a wide selection of our products, we aim to support this process. Not just the process between MJK and our partners, but also between our partners and the local markets worldwide. We have, for many years, offered CE, UL and ATEX approved products. We know that many countries have individual certification systems. And, to make collaboration easier and because we trust that our products meet the demands, we are constantly working on expanding the variety of product certifications. 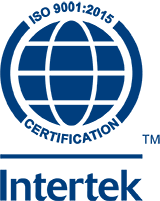 The MJK ISO 9001:2015 certification means that partners, suppliers or costumers can rest ensured that the process workflow and systems surrounding our products and services meet the highest demands. b) aims at strengthening its customers satisfaction rate. This is done by effective use of quality control systems in regards to ongoing improvements of the system. Furthermore, it happens in accordance with customer demands and relevant legal and regulatory requirements. All MJK products are produced according to the norms defined in the CE Conformity directives. UL is a global independent organization. Its certifications approve operating safety and ensures that reasonable safety instructions for products are available. UL certifies, validates tests, verifies, inspects, audits, advises and educates professional companies, and have done so for more than 100 years. Selected MJK products are UL, cUL and ATEX approved. Read more about these certifications in the datasheets. The Danish Confederation of Industries, DI, annually presents their Initiative Prize to companies or enterprises, which have shown a significant initiative within the field of technology, marketing and sales. In 2000, this honour was awarded to MJK and was celebrated with a small ceremony where His Royal Highness Prince Joachim of Denmark presented MJK's management with the award. This can be viewed at the entrance at our Danish headquarters. 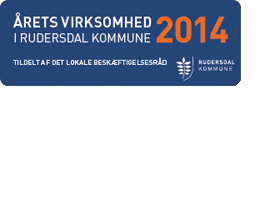 In 2014, due to MJK's tradition and dedication to social responsibility, MJK was awarded "Company of the year" by Rudersdal Municipality.